Albany Cabinet Makers offer a full range of bench tops that reflect the latest trends and styles to suit the design of any kitchen, vanity, laundry, entertainment unit or office. Laminated bench tops are hard wearing and available in a large range of colours and patterns. Laminate is available in a texture, matt and gloss (not recommended) finish. There are many options available when edging the front of the bench top the most common one is post formed 10 x10 edge. Also available is the post formed square form. Other finishes to edge laminated bench tops is with timber, plastic, aluminum and acrylic mineral. Laminated bench tops are popular. The laminated bench top is hard wearing and affordable. Granite is a solid formation of one or many minerals. Colour variation, grain structure and texture may vary from slab to slab. Granite surface is very hard material and is less porous than marble therefore making it ideal for kitchen and vanity bench tops. There are a number of edgings available to suit. Granite is a natural product and easy to clean. Granite being a natural stone should be resealed over time. Granite possesses a classical elegance and beauty which is made to last forever and will add a unique and prestigious look to your kitchen, bathroom, entertainment room or office. Marble is a crystalline calcium carbonate that formed over millions of years. Marble is more porous than granite. Extra care is needed with marble as any spillage should be wiped off immediately to avoid staining. Marble will need to be re sealed more frequently to protect its surface. Colour variation will vary from slab to slab. There are a number of edgings available to suit. Marble is a natural product and will add a unique and prestigious look to any room. Stone Composite is man made and consists of 95% of crushed stone and 5% of polyester or acrylic resin. Stone Composite come under a number of brand names including Silestone, Caesarstone, EssaStone, Smart Stone and many more. Stone Composite bench top is a low maintenance, extremely durable, heat resistant, stain resistant and scratch resistant material. Uniform colour and pattern can be achieved throughout the bench top. Stone Composite is available in a wide range of colours making it ideal for all styles of kitchen, bathroom, laundry and office. 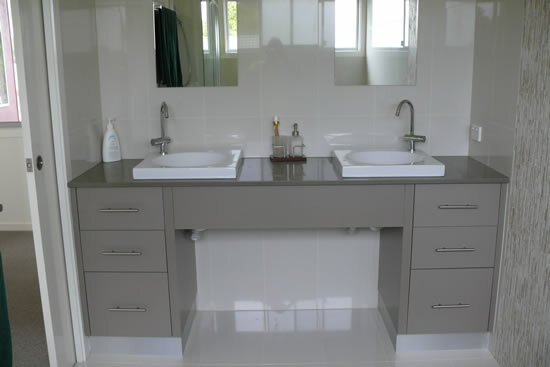 Stone Composite bench tops are often more expensive than granite or acrylic bench tops. Acrylic Composite consists of acrylic and natural minerals. It can be moulded into any bench top size and include splashbacks and sink to create one seamless surface. Different colours and pattern combinations can be moulded into one seamless surface. The design possibilities of this material are endless. Acrylic Composite Bench Tops come under a number of brand names including Trezzine, Hi-Mac, Freestyle surface and many more. 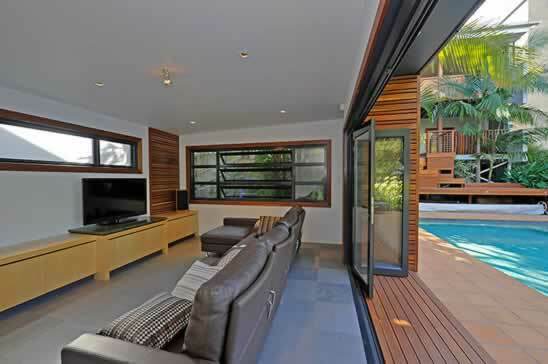 Solid Timber bench tops are available in many species of timber. They are laminated together and finished with a two pack polyurethane finish or wood oil. The two pack polyurethane finish comes in a matt or gloss finish. A solid Timber bench top create a warm and inviting feeling and is suited to any contemporary or country style. Stainless Steel bench tops are found mainly in commercial kitchens but are seen more now in the domestic kitchens. Stainless Steel is easy to clean and will withstand high temperatures. Stainless Steel bench tops are available in different finishes and patterns. Stainless Steel bench tops are manufactured and installed by an engineering firm.